A friend’s status message on Facebook read – “Why does binge snacking feel so great while you’re at it, and so bad the moment you’re done!”….Hmmm….I have a different take here; to me, “If the snack is good enough, its worth a guilt trip and then two” – c’mon guys one can always burn those cals off in the gym, the morning after. This time around, I am posting recipe of one such sinful snack, which though quite high on calories, is certainly well worth the guilt trip. 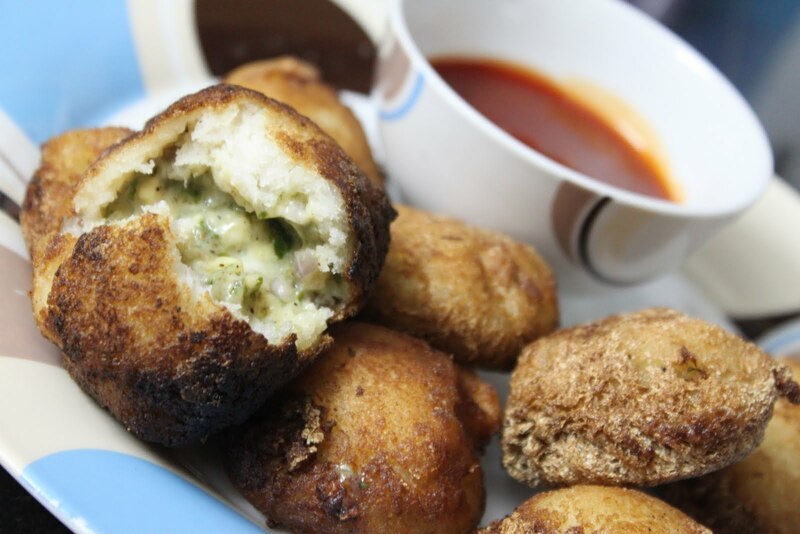 You will love the taste of melted cheese in the “Cheese Balls”; enjoy with ketchup!! Previous Post Refreshing drinks for the hot summers!! thanks for such a recipe wud surly try it…. Please do and let me know how you liked it! Thanks a bunch baby. Will surely try it out! Nitya…you're such an amazing cook yourself… try this one and let me know how it turned out!